December 18, 2010 - The Department of Transportation Office of Inspector General plans to conduct a follow-up review of the Federal Aviation Administration's (FAA) oversight of repair stations. In recent years, major U.S. airlines have steadily increased their use of contract repair stations to perform aircraft maintenance. Since 2003, OIG has reported on the need for the FAA to strengthen its oversight to ensure that contract repairs meet FAA standards. OIG is conducting this review at the request of Representative Jerry F. Costello, Chairman of the House Subcommittee on Aviation. Their audit objectives will be to examine changes the FAA has made to its repair station oversight, assess the effectiveness of these changes in bolstering FAA?s oversight of both domestic and foreign repair stations, and identify any additional challenges to effective oversight that FAA still needs to address. Between 2000 and 2009, airlines increased their maintenance outsource spending by more than $1.1 billion. Forecasts show that the maintenance, repair, and overhaul industry will grow annually by 4.4 percent over the next 10 years, yielding a market value of between $50 billion to $65 billion for this segment of the aviation industry. 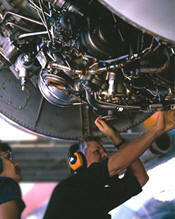 These upward trends are expected to continue as airlines continue to cut maintenance costs and increase profitability. While the FAA has made a number of procedural changes in response, it has not addressed OIG?s most significant and longstanding recommendations to identify repair stations performing safety-critical repairs and repair stations air carriers use most often. OIG audit will include visits to FAA Headquarters and regional offices as well as select Flight Standards Service field offices that oversee commercial airlines and repair stations. OIG will begin their audit the week of January 3, 2011. Back on November 18, 2009, the Inspector General testified on the Federal Aviation Administration?s oversight of repair stations. The Office of Inspector General (OIG) reported the FAA?s oversight of aircraft repair facilities is not robust enough to ensure that outsourced repairs meet FAA standards. Specifically, the FAA does not know where all critical outsourced repairs are performed for both certificated and non?certificated facilities. Instead, it relies heavily on air carriers? oversight of repair stations, even air carriers with known quality assurance problems. Several of the OIG?s recommendations aimed at improving FAA?s oversight of foreign and domestic repair stations remain open. Successfully implementing these recommendations would allow the FAA to identify and target repair facilities in need of safety oversight as well as meet its statutory mandate to provide TSA with information needed to improve security oversight.